Surplus of Popes is a card game where every player is a Pope, but are you the coolest Pope? The goal of the game is to create the best life story by playing various cards that can enhance your Pride or withhold your Shame. 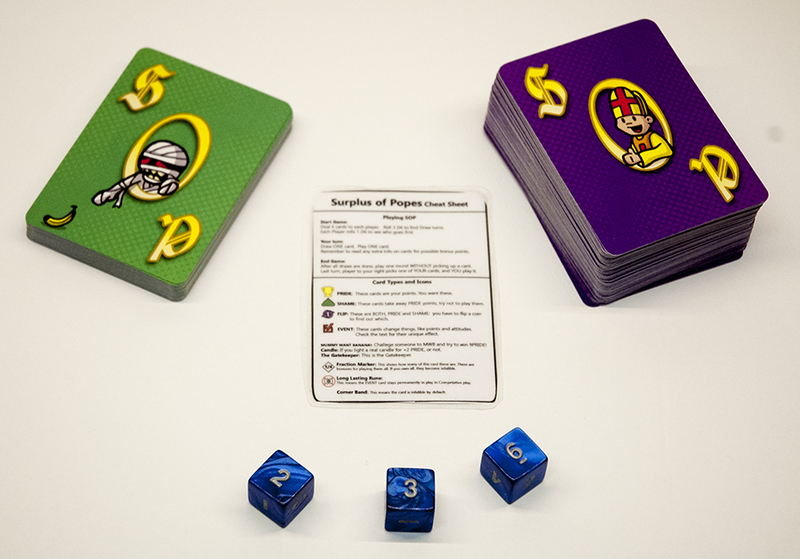 The game is played with each player having four cards in their hand and each turn you draw a card and then play a card. Then you just follow the rules written on the cards to collect PRIDE and avoid SHAME cards. The winner is decided by whoever has the highest PRIDE score after several rounds. Come in any time between 3 and 6 pm and try out Surplus of Popes!